AtCoder Grand Contest 032 has begun. AtCoder Grand Contest 032 has ended. 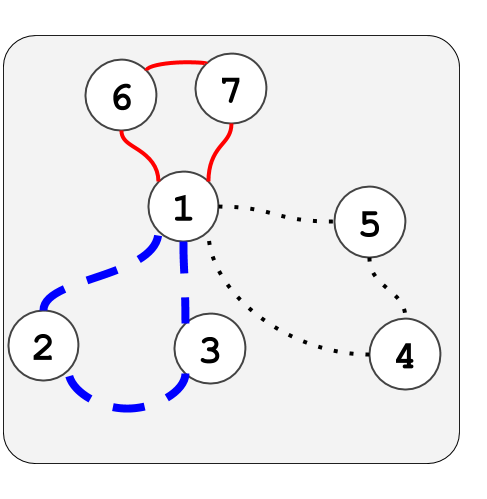 You are given a simple connected undirected graph consisting of N vertices and M edges. The vertices are numbered 1 to N, and the edges are numbered 1 to M.
Edge i connects Vertex a_i and b_i bidirectionally. Determine if three circuits (see Notes) can be formed using each of the edges exactly once. A circuit is a cycle allowing repetitions of vertices but not edges. The given graph is simple and connected. If three circuits can be formed using each of the edges exactly once, print Yes; if they cannot, print No.